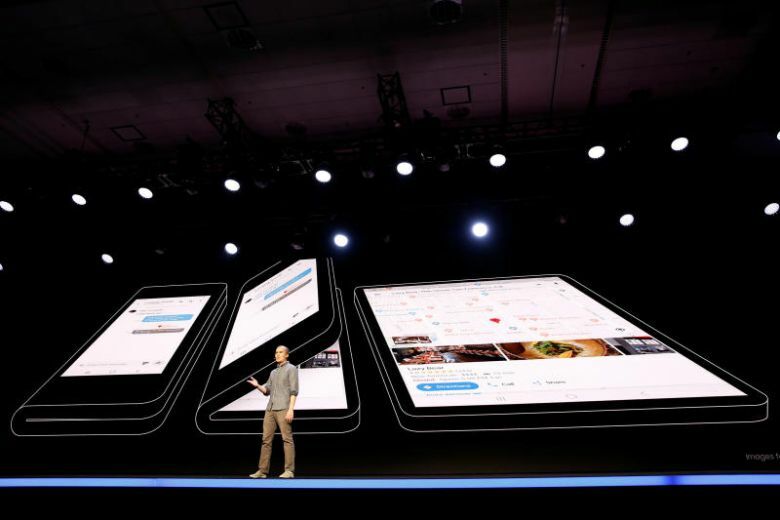 Samsung gave everyone a sneak peak of the upcoming foldable phone equipped with a flexible display, it was unveiled at its annual developer conference. The new Samsung foldable phone has reportedly been called Galaxy X uses the company’s “Infinity Flex” display technology. It allows the tablet-like screen to be folded so that it fits inside the user’s pocket. A lot of questions have been circulating since the company unveiled the phone. From reports that have been coming in, Samsung will manufacture at least 1 million units of the phone next year. Yonhap of Korea put out the report, quoting Samsung’s President of Mobile Communications Dong-Jin Koh. He was reported as saying that the company is looking at the one million initial production units. Koh said that he could not give a definite date for the release if the phones. He did however, say that they will be released in the first half of next year. “I can not date it, but I will release it until the first half of next year,” he was also quoted saying. The phone giant are yet to disclose any further details on the phone. The functions that were disclosed at the conference are still the only things details that have been circulated. Interestingly, the device that was unveiled was only a prototype and not the final product. The foldable technology seems to be the next big thing in the phone industry and early signs show that Samsung will have some competition in that area. Huawei is reportedly also working on something similar.